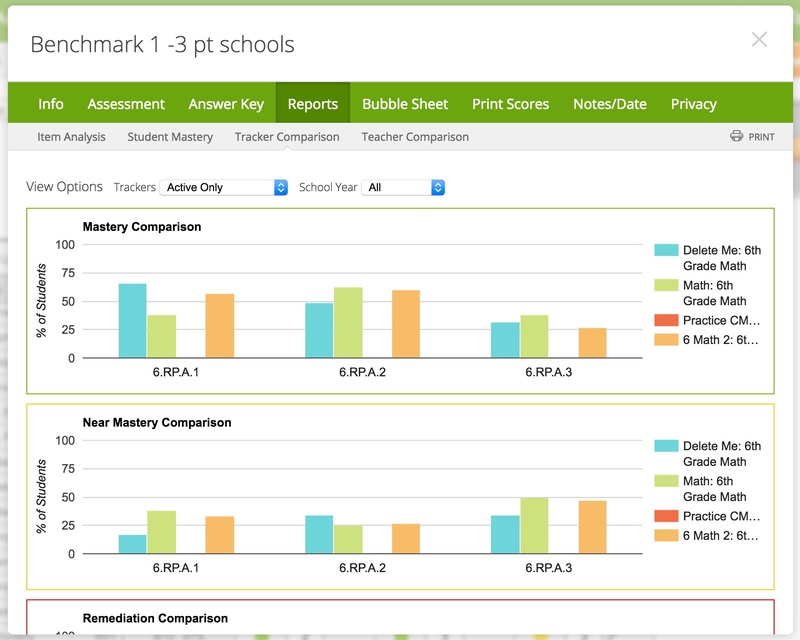 For a single-standard assessment, hover over the assessment title and select Reports. For a multi-standard assessment, you’ll first have to click on the assessment title, and then the orange menu button and select Reports. In the Report dialog box, click Reports and then click on Tracker Comparison.